The pallid sturgeon is one of the rarest fishes in North America (Kallemeyn 1983) and was federally listed as endangered in 1990. Dams are assumed responsible for the pallid sturgeon’s decline by isolating pallid sturgeon populations, altering flow regimes, and reducing habitat. The pallid sturgeon populations in Montana are senescent, with no evidence of recent recruitment and are in danger of going extinct. Hybridization with shovelnose sturgeon (Scaphirhynchus platorynchus) may also be a problem. Listing of the pallid sturgeon was important for initiating recovery efforts that included water management changes that may be required to save the pallid sturgeon from extinction. Pallid sturgeon have a widespread distribution occurring in low numbers in the Missouri River from Montana to its confluence and in the Mississippi River from Illinois to its confluence. Pallid sturgeon are also found in several of the larger tributary rivers of these two great rivers. In Montana pallid sturgeon are presently found in the Missouri River from the MT/ND state line upstream to Fort Peck Dam and from upstream of Fort Peck Reservoir (Nichols Coulee) to Stafford Ferry (Figure 1). Pallid sturgeon are also found in the lower Yellowstone River from the state line upstream to near Fallon, MT. Historically, the pallid sturgeon geographic range was similar to the present range except all populations were connected and not fragmented as is the case today. Changes in big river habitat caused by dams and channelization are assumed responsible for the population decline. Nationwide, it is estimated that 36% of historical pallid sturgeon habitat has been eliminated, 40% has been channelized and the rest has an altered flow regime. Dams have blocked spawning migrations, isolated populations, destroyed rearing and spawning habitats, and altered food supply as well as changing flow, turbidity and temperature regimes (Dryer and Sandvol 1993). The pallid sturgeon range in Montana and western North Dakota has declined to 60% of their historical range (Figure 1) with recent sightings concentrated in 27% of their range (Tews). Most pallid sturgeon have been found near the Missouri/Yellowstone river confluence, the lower 110 km of the Yellowstone River, the tailwaters of Fort Peck dam, and the lower 130 kilometers of Missouri River above Fort Peck Reservoir. Fort Peck dam and reservoir have eliminated 18% of the Montana habitat and fragmented pallid sturgeon into two populations; the Upper Missouri population located upstream of Fort Peck reservoir and the Yellowstone/lower Missouri River population downstream of Fort Peck reservoir. Pallid sturgeon are a large river fish that reside in deep-water areas of the main channel . They prefer sandy substrates and are often associated with subclimax seral stage islands or alluvial bars (Bramblett 1996). It is believed that pallid sturgeon require a spring pulse flow for initiating migrations to up-river spawning areas (Gardner 1995), however, no study has documented this assumption. Once pallid sturgeon spawn the resulting larvae have a strong tendency to drift great distances downstream over a long period of time (Kynard 1998). This behavior is thought to be one of the limiting factors affecting larval survival. It has been suggested that larval pallids may end up being deposited in downstream reservoirs and consequently never reach suitable rearing habitat. Gardner (1999) monitored movements and habitat use of hatchery-reared yearling pallid sturgeon and he found that yearling pallid sturgeon used relatively deep channel areas (average = 2.0 m) near the channel thalweg which is similar to where adults reside. Pallid sturgeon are long-lived and are thought to spawn at several year intervals. Females may not reach sexual maturity until 15-20 years old (Dryer and Sandvol 1993). Because of unique biological characteristics, including obligatory lengthy migrations and larval drift distances, a high habitat specificity and late sexual maturity, pallid sturgeon is a species vulnerable to extirpation. Adult pallid sturgeon populations in Montana display a skewed size structure comprised of only large (old-age) fish. Gardner (1994) estimated there were only 50 adult fish remaining in the Upper Missouri River population. Krentz (1997) estimated there were only about 300 (223-365) pallid sturgeon remaining in the Missouri/Yellowstone river population. There has not been evidence of successful reproduction (presence of several juvenile or sub-adult fish) in at least 25 years for both populations (Krentz 1997a). Pallid sturgeon propagation and culture attempts for the Montana populations were initiated in 1994 and were first successful in 1997. Genetic differences between the pallid sturgeon and shovelnose sturgeon have recently been reported by Campton et al. (2000). Previous to this report most genetic studies found these two sturgeon species to be indistinguishable (Phelps and Allendorf 1983). It is likely that both sturgeon species interbreed to varying degrees throughout the pallid sturgeon’s geographic range. Suspected pallid-shovelnose sturgeon hybrids were reported in the lower Missouri River basin by Carlson et al. (1985), and 4 suspected hybrids have been reported from the 2 populations in Montana (Gardner 1995 and S. Krentz , personal communication, 2000). Altered flow regimes caused by the damming of large rivers have resulted in the decline of pallid sturgeon populations in Montana. The Yellowstone and the Upper Missouri (above Ft. Peck dam) rivers exhibit a somewhat natural hydrograph but have altered flow regimes because of the smaller dams in the system. The unregulated Yellowstone River at Sidney has 30% of its run-off controlled by Yellowtail and Tongue River dams (Koch et al. 1977). Lake Sakakawea has flooded pallid sturgeon rearing areas. The Upper Missouri River system has a compressed hydrograph above Fort Peck Reservoir. A portion of the run-off is regulated by Canyon Ferry and Tiber dams and to a lesser amount from 4 other dams in the system. Like Lake Sakakawea, Fort Peck reservoir has also flooded pallid sturgeon rearing areas. The complete regulation of the Missouri River by Fort Peck dam has caused dramatic changes in flow, temperature and turbidity in this 330 km reach. These changes are sometimes tempered during high run-off period of the warm and turbid Milk River which enters 16 km downstream Fort Peck dam. Pallid sturgeon also face hybridization threats with the native shovelnose sturgeon. Prior to 1988 little was known about the status of pallid sturgeon in Montana. From 1990 to 1995 status studies were completed for both populations and it was evident there were no successful reproduction occurring in both populations and that pallid sturgeon in Montana would go extinct if nothing changed (Krentz 1997a). Beginning in 1996 research efforts focused at pallid sturgeon recovery and preserving the pallid sturgeon genetic pool through stocking. The main purpose of the stocking program is to preserve the genetic pool and reconstruct an optimal population size within the habitat’s carrying capacity (Krentz 1997a). Since the carrying capacity for these two areas are unknown, efforts will be directed at building and maintaining a genetically diverse adult breeding population of 50-500 individuals and rely on natural recruitment to define the carrying capacity density. Additionally, with a larger population to work with, it finally will become feasible to research the limiting factors preventing recruitment. Efforts are now being directed at propagation problems and evaluating the survival, acclimation and movements of the released juvenile pallid sturgeon in the wild. Initial releases of 750 hatchery-reared yearling pallid sturgeon were accomplished for both the Upper Missouri River and Missouri/Yellowstone River populations during 1998. A second release of 680 yearling and 2-year-old hatchery-reared pallid sturgeon into the lower Missouri/Yellowstone river system was accomplished during fall, 2000. A fish health concern recently surfaced in 1999 with the detection of a new irido virus discovered in the Gavins Point National Fish Hatchery where pallid sturgeon were being reared. The virus mainly infects young-of-the-year fish and can induce severe mortalities when sturgeon are in high density conditions. It is believed this virus is endemic to the Missouri River, however, precautions are being taken to prevent contamination to new areas. Precautions included no releases of hatchery fish in 1999 and a temporary halt to stocking hatchery pallids above Fort Peck dam through 2000. There has been a considerable amount of study about this virus by the USFWS health lab in Bozeman and by Dr. Ron Hedrick, UC-Davis. One of the most obvious detrimental changes in the pallid sturgeon environment was the damming of the Missouri River and several other important tributaries. Efforts are now being directed at restoring the river to a more normal condition. In 2000 the USFWS completed an Endangered Species Act consultation with the USACOE regarding operation of the Missouri River dams. Although a final agreement is not yet completed, the USACOE agreed to begin test flows below Fort Peck dam for achieving the desired effects of a spring pulse. Through an informal agreement the US Bureau of Reclamation (BOR) has agreed to provide a dominant discharge spring pulse out of Tiber reservoir every 4-5 years for Missouri River fish migrations which could help the Upper Missouri River pallid sturgeon population. To address pallid sturgeon passage and entrainment on the Yellowstone River, the USFWS has begun consultation with BOR regarding problems at Intake diversion dam. The future for pallid sturgeon recovery may continue to be uncertain even after positive changes have been implemented because pallid sturgeon populations are so depleted and the newly stocked fish will take at least 15 years before the females first reach sexual maturity and begin to spawn. Therefore, it is important to realize that immediate evaluations are impractical and recovery will take a dedicated, long-term commitment. Implementing the pallid sturgeon recovery program in this area is a multi-state and agency task. 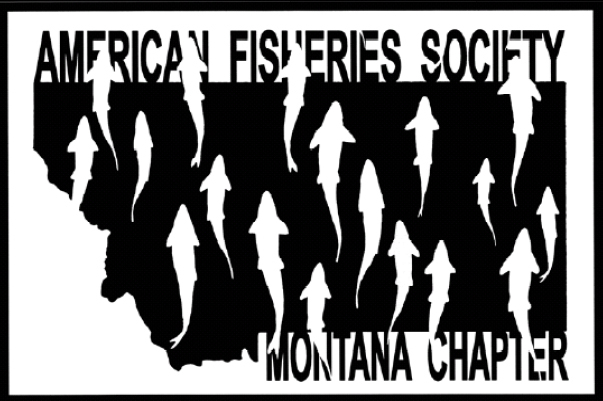 To facilatate this, the Montana/Dakota Pallid Sturgeon workgroup was organized in 1993. The group is comprised of representatives from MFWP, NDGF, USFWS, USBOR, WAPA and PPL-MT, and acts in an advisory role for identifying research needs and funding sources, developing workplans and provide an opportunity for communication between biologists and agency personnel. Additional information can be found at Montana Fish, Wildlife & Parks and the Pallid Sturgeon Recovery Project. Bramblett, R.G. 1996. Habitats and movements of pallid and shovelnose sturgeon in the Yellowstone and Missouri rivers, Montana and North Dakota. Ph. D. dissertation. Montana State University, Bozeman. 210 pp. Campton, D.E., A.L. Bass, F.A. Chapman, and B.W. Bowen. 2000. Genetic distinction of pallid, shovelnose and Alabama sturgeon: emerging species and the US Endangered Species Act. Cons. Genetics, 1:17-32. Carlson, D.M., W.L. Pflieger, L. Trial, and P.S. Haverland. 1985. Distribution, biology and hybridization of Scaphirhynchus albus and S. platorynchus in the Missouri and Mississippi rivers. Environmental Biology of Fishes. 14:51-59. Dryer, M.P. and A.J. Sandvol. 1993. Recovery plan for the pallid sturgeon (Scaphirhynchus albus). U.S. Fish and Wildlife Service. Bismarck, ND. 55 pp. Gardner, W.M. 1994. Missouri River pallid sturgeon inventory. Montana Fish Wildlife and Parks. Fed. Aid to Fish and Wildlife Rest. Proj. F-46-R-7. Helena. ________. 1995. The status of the pallid sturgeon population in the Upper Missouri River. In: Proceedings of the first joint meeting of the Montana/North Dakota Pallid workgroup and the Fluvial Arctic Grayling workgroup. Montana Fish Wildlife and Parks. Helena. ________. 1999. Montana endangered fishes program. Pallid sturgeon annual report. Montana Fish Wildlife and Parks. Fed. Endangered Species Sec. 6. SE-7-5. Helena. 9 pp. Kallemeyn, L.W. 1983. Status of the pallid sturgeon (Scaphirhynchus albus). Fisheries 8 (1) : 3-9. Koch, R., R. Curry and M. Weber. 1977. The effect of altered streamflow on the hydrology and geomorphology of the Yellowstone River basin, Montana. Yellowstone impact study, technical report 2. Montana Department of Natural Resources and Conservation. Helena. 163 pp. Krentz, Steven 1997. 1997 Summary Report of Work Conducted by the Missouri River FWMAO on Missouri and Yellowstone Rivers – Pallid Sturgeon. Rpt # MRFAO97-03. US Fish and Wildlife Service. Bismarck, ND pp. 6. _________. 1997a. Stocking/augmentation plan for the pallid sturgeon (Scaphirhynchus albus) in Recovery Priority Management Areas 1 and 2 in Montana and North Dakota. U.S. Fish and Wildlife Service. Bismarck. 38 pp. Kynard, B., E. Henyey, and M. Horgan 1998. Studies on pallid sturgeon: Turner Falls, Massachusetts: U.S. Geological Survey, Biological Resources Division, Conte Anadromous Fish Research Center. Phelps, S.R. and F.W. Allendorf. 1083. Genetic identity of pallid and shovelnose sturgeon (Scaphirhynchus albus and S. platorynchus). Copeia 3:606-700. Tews, A. 1994. Pallid sturgeon and shovelnose sturgeon in the Missouri River from Fort Peck dam to Lake Sakakawea and in the Yellowstone River from Intake to its mouth. Fot Peck Pallid Sturgeon Study. Submitted to U.S. Army Corps of Engineers, Planning Branch, Omaha, NE.